Digital Walker Madness 3 Summer Sale! Amazing discounts and awards await customers at the hottest tech sale to hit the metro this summer! In addition, I AM CARDBOARD will be hosting a VR game for all customers who will purchase products at the Walker Madness sale. Game winners will be rewarded with awesome tech treats courtesy of the game masters! 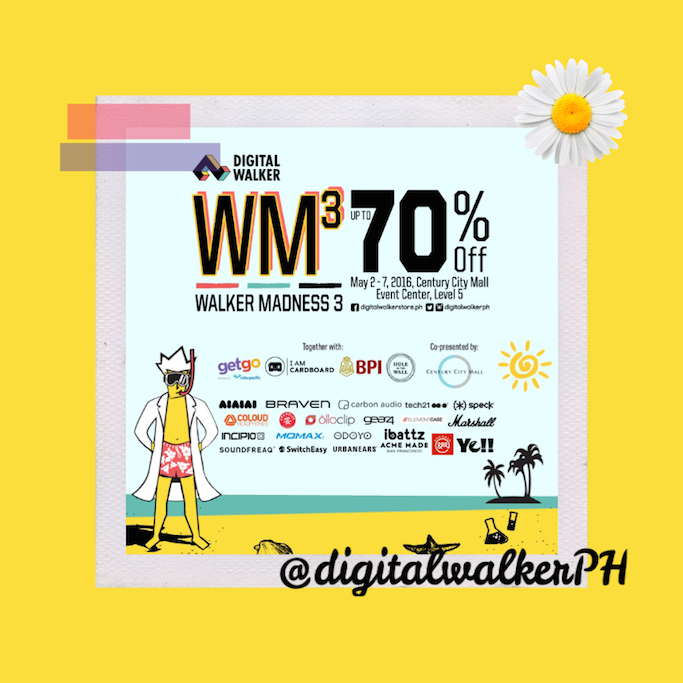 For more information on Digital Walker, follow them on Instagram and Twitter @digitalwalkerph, and on FACEBOOK.